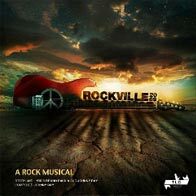 “Rockville 2069 is a futuristic rock musical that is at heart a love story set against the backdrop of a post-apocalyptic world steeped in the philosophies that characterise the rebellion of the sixties, the seventies and those that are currently shaping our world,” says Johnny Ray, author and composer of Rockville 2069. Copyright © 2014 TLC Productions. All rights reserved.